Skytek’s technical team were in attendance to the International Space Station (ISS) partners ODFCB (Operations Data File Control Board) conference which was held this year at the CNES Launcher Directorate at Paris-Daumesnil. Skytek presented the range of Skytek developed IPV products that are used on board the ISS. During the workshop detailed discussions were held with all ISS partners on the future systems and applications that will be built by Skytek for the space community. 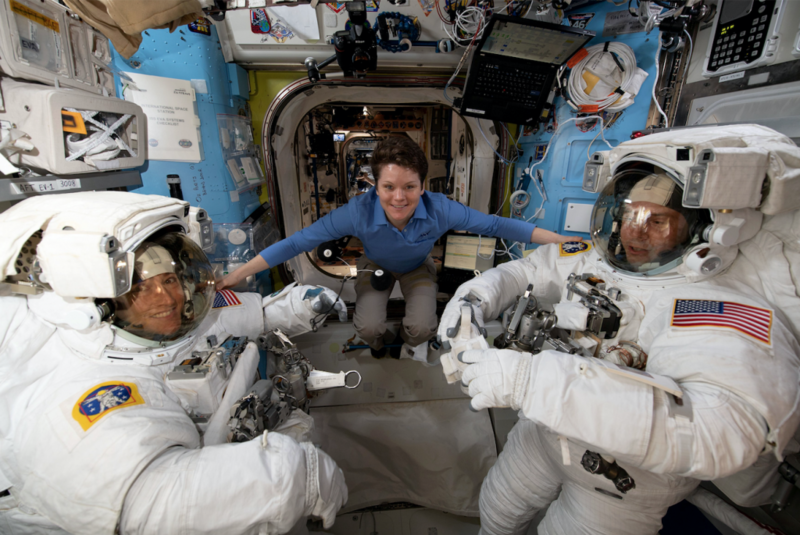 NASA astronaut Anne McClain assists fellow NASA astronauts Christina Koch (left) and Nick Hague as they verify their U.S. spacesuits are sized correctly and fit properly using the IPV product ODF procedure executor ahead of a set of spacewalks.